When belly dancers move their bodies they are in absolute control of their torso. It sounds like something everybody can do but just wait until you see the way they move. You'll be thinking that they're practically dislocating their spines and hips just to move that hypnotically. It's not only beautiful to watch but it's quite the feat of athleticism! The best we can do is just wiggle around and make the coins on our outfits jangle a little bit which is almost as cool. Do you think you have what it takes to really work those hips? Are you at least willing to give it a shot? Throw on this elegant Black Chiffon Hip Scarf and hit the next Zumba class to practice those moves. 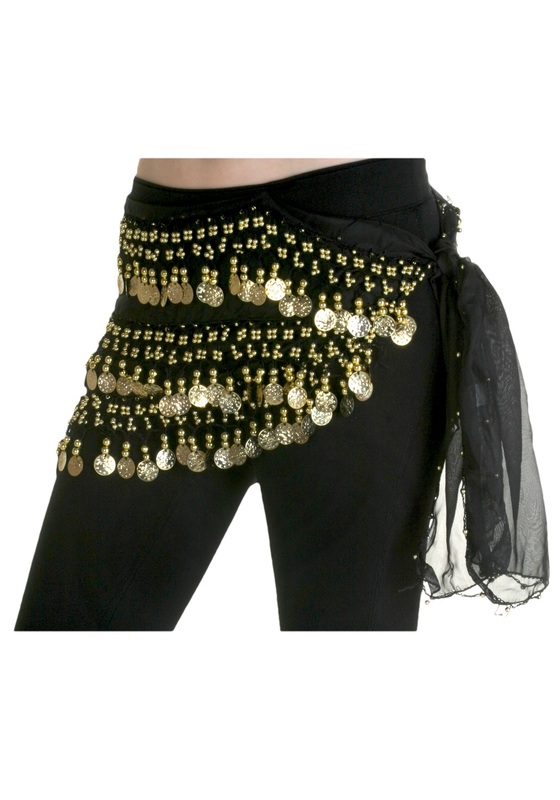 There's that or you could always just pair it with a cool gypsy or belly dancer costume. Either way you'll love the sounds of the jingling coins when you work it!